Tying a bow tie seems to be a lost art, but if you're a fashionable intellectual, there's no better way to dress up a shirt. So, if you're looking to improve your wardrobe without losing your geek-cred, take a lesson from The Science Guy himself, Bill Nye, on how to tie one stylish bow tie. 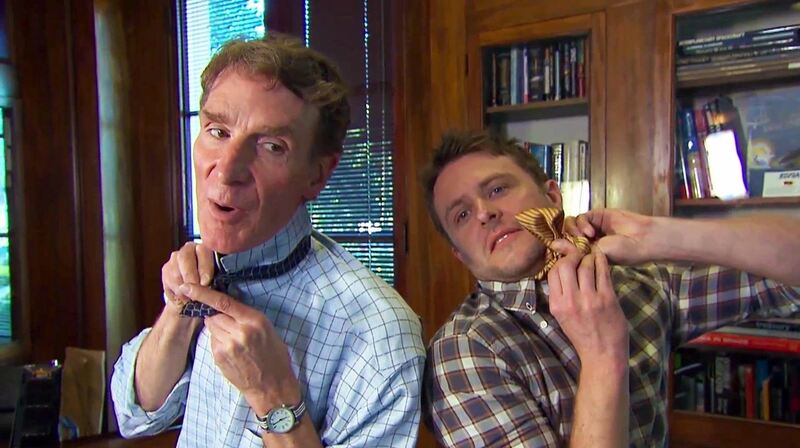 If nothing else, the video teaches us the most important lesson of all: the way to tie a perfect bow tie at home is to have Bill Nye come over and do it for you.